WHO would have thought that little thing would cause them grief? Driving neighbours nuts with incessant wind turbine generated low-frequency noise and infra-sound is what the wind industry does best. Wind power outfits literally create headaches wherever they ply their subsidy-soaked trade. But, increasingly, people and communities with the temerity to stand up for their rights are doing just that. And winning. BOURNE — After years of hearing complaints of noise, headaches and sleep deprivation, the Bourne Board of Health declared Wednesday that the four wind turbines across the town border in Plymouth are negatively affecting public health. 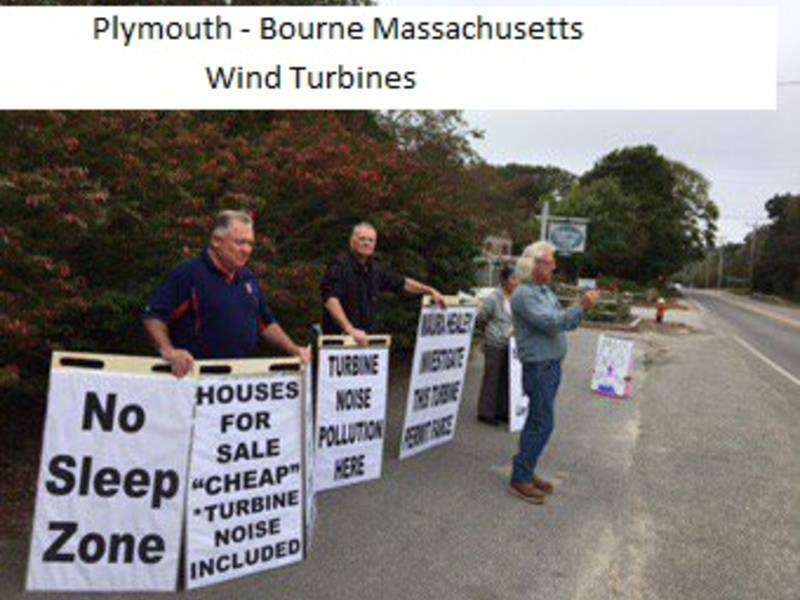 The board will communicate to the Plymouth Board of Health its determination that the turbines are a nuisance to the residents of Bourne and interfering with the health and enjoyment of life and property, per the town’s nuisance law. A letter also will be sent to the Plymouth Planning Board, Board of Selectmen and Zoning Board of Appeals, which is responsible for licensing of the turbines. In addition, the Bourne board will request that the Massachusetts Department of Environmental Protection assist Plymouth and Bourne moving forward. “At the very least, they are going to have to address to us what they are going to do to start to mitigate this,” Peterson said. A Superior Court judge ruled that the turbines are outside Bourne’s jurisdiction, and officials have no authority to regulate their construction. In that finding, however, the judge recognized a health board’s broad powers to regulate and prevent nuisances that affect the public, noting that it remained to be seen whether the operation of the turbines would have a negative affect on the health of Bourne residents, opening the door for the town’s health board to take legal action. The Buzzards Bay Action Committee, a nonprofit group dedicated to preserve and protect Buzzards Bay, has collected approximately 350 complaints from residents in the area. Complaints range from shadow flicker to nausea and vertigo dating back to December 2016, after the wind turbines were installed. 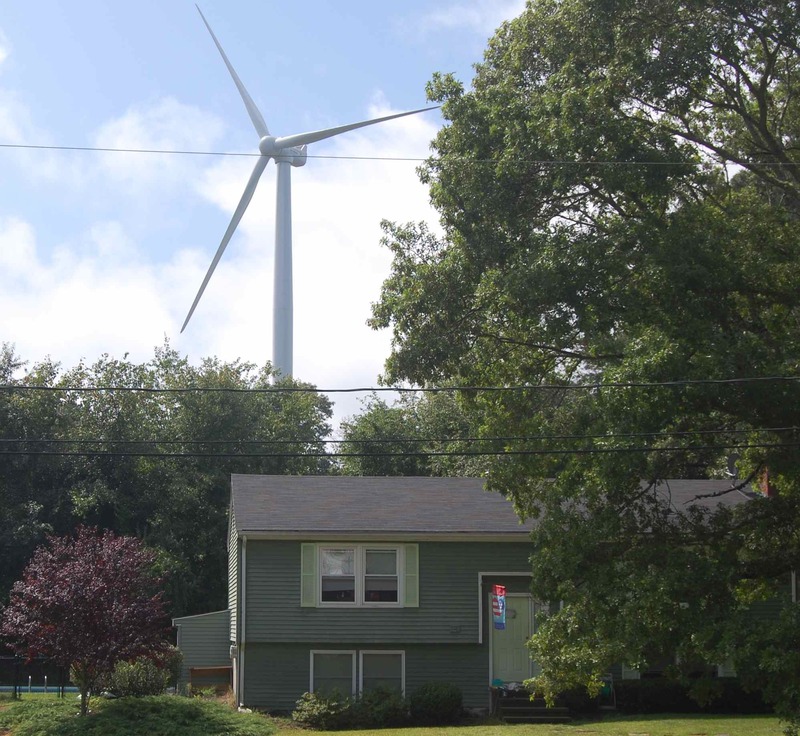 Members of the action committee said they believe the wind turbines are breaking both noise bylaws of the state and the town of Bourne. But, Peterson said, the board has to begin by accepting the complaints of neighbors in town and declaring the turbines a nuisance. “Persistence pays,” said abutter Ian Davies after the meeting. Bourne resident Karen Gibides said the Board of Health meeting rooms used to be full of residents frustrated by the turbines. But now, she said, they are selling their homes instead. While the people harmed by the Plymouth turbines are to be congratulated, why is it necessary to have a judge’s ruling on each and every case? These turbines are invading peoples’ bodies with acoustic waves, while they are in their own homes and even in their beds. Who gave the wind industry license to do that? They have lied consistently and have been forcing innocent and harmed people who have been reporting the harm that is cumulative, to endure legal cases in order to get a few turbines turned off at a time. The wind industry has been deceptive and this case and others have proven it. The wind industry told people they would not be harmed. In commerce, when you lie, you lose. It’s time for the business community leaders to acknowledge these business deals for what they are and to speak out. It’s time for the business community leaders to advocate the legislative cancellation of exploitative wind contracts with a bill in the legislative assembly. In the words of Ian Lee in his letter back to me, after I thanked him for speaking, he called the contracts in Ontario “morally unconscionable”.